Arena Five: Holy Mother, Batman! A few weeks ago, a co-worker did an impression of me that was SPOT ON. As in, I laughed so hard that there had to me some necessary clenching to keep from wetting my pants just a little bit. Which reminds me, I still need to write that post about how that very embarrassing event actually happened a few months ago. Isn't it horrible that I keep teasing you with that and then I don't write it? It's just that it's a little intimidating to devote an entire post to something like peeing your pants as an adult. I imagine Beth Woolsey went through this same gauntlet of emotions as she sat down to write The Day I Pooped My Closet. That girl has guts for days for hitting Publish on that piece of work. I've said it before and I will say it again. You NEED to read that post. It is the absolutely BEST. The impression of me. Right. "Oh Mylanta!" - It's crucial to pronounce this one with a significant Midwestern accent. It's all in the nose. My-lain-tuh. "For the Love!" - Used best when something is discovered that is so obviously stupid or frustrating that finding the appropriate words is too difficult. Instead, in true Hatmaker-style, I go with this one. It allows natural sarcasm to shine as the star, which I appreciate. "Holy Hannah!" - I have no idea who Hannah is or why making an exclamation about her holiness is appropriate when someone comes around the corner unexpectedly and makes me jump out of my shoes, but I still say it all the time. "Holy ________ Batman!" - Insert whatever surprising thing you would like in the blank. Shrimp, Margaritas, Traffic, Mullet, Dust-bunny, etc. Nothing like using your inner Robin to proclaim something to be incredible to your superhero buddy to give it emphasis. My friend busted out a whole string of these, complete with my mannerisms, tone of voice, and Wisconsin accent. It was epic. Obviously, there are whole lot of other phrases that, if we are really being honest, will sometimes come out of my mouth that involve the word "Holy" followed by another word that isn't always quite as complimentary. Why do we do that? At some point, I think we have all heard the phrase "Holier than Thou" and used it to describe someone who is puffed up, prideful, and feeling a bit too superior and perfect for their own good. In 1 Peter 1:14-16, we get some pretty clear instructions about how we are to live our lives in Christ. As obedient children, do not be conformed to the passions of your former ignorance, but as he who called you is holy, you also be holy in all your conduct, since it is written, 'You shall be holy, for I am holy." Know what I think? 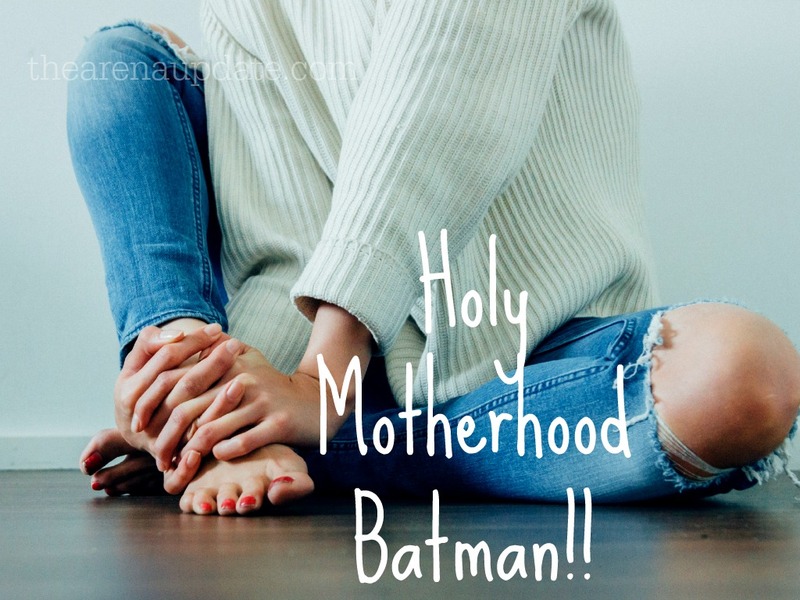 I think motherhood helps make us holy. When we are entrusted with the life of another human being who is fully dependent on us, we become acutely aware of our shortcomings and inadequacies. I don’t know about you, but when I was standing in the exam room with my son while the doctor described how he had a super-nasty double ear infection that must have been causing him severe pain for several days, I didn't exactly feel "holy" as I was recalling the numerous times I had told that kid that he was just fine and to stop wailing about it. To be holy is to be set apart or separate. Achieving holiness involves sanctification - a refining process that uses extreme conditions or stress to cause impurities and faults to be brought to the surface so they can be removed, leaving behind something just a little more pure than before. When I am standing in the kitchen and the anxiety is pressing in on me like a vice and the boys are yelling at one another over Pokemon cards and the dishes aren't done and there's supper to be made and my family is hurt because I don't call enough and then one kid hits another kid so I snap and yell so now all three are crying and I stop and really look around. All rising to the surface and put on display for everyone to see. But it's those purposeful steps down the hall, the gentle opening of the door, the open arms that draw them in for a hug. It's my voice through the tears that whispers "I'm sorry" and asks for forgiveness. That's where it is. That moment when the great Refiner skims away that layer that had risen to the surface, leaving behind something just a bit more pure. Holiness isn't about being better than someone else, doing more "good deeds," or walking a straighter line. It's when we recognize our desperate need for a Savior that holiness even becomes possible because, heaven help us, we are absolutely LOST on our own. I don't know how it is in your house, but my kids remind me of that fact every single day. They test my patience, push boundaries, challenge my faith and force me to be courageous. They push me toward holiness because they are constantly pushing me closer to Jesus. And hopefully, by faith, the next time all bedlam breaks loose and the battle over the red Popsicle or whose turn it is to pick the show on Netflix is raging around me, I can find just a little more peace and patience than the last time around. It is a slow and imperfect process, but God has never really been one for being in much of a hurry. And that's how I write about peeing my pants and holiness in the same post. 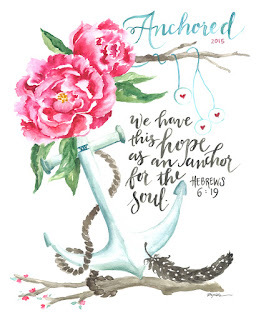 This post was inspired by Kayla Aimee’s new book, Anchored: Finding Hope in the Unexpected. Order your copy of #AnchoredHope today and receive this printable as a free gift by clicking here!